A 2017 McKinsey report predicted that as many as 800 million jobs could be lost worldwide to automation by 2030. But while automation will eliminate some jobs, the World Economic Forum foresees that another 130 million jobs will be created in the next five years. This is partially because, as technologies like automation become more prevalent within the enterprise, companies will need more skilled workers to manage those technologies. A great example of this is the rise of the business systems function. 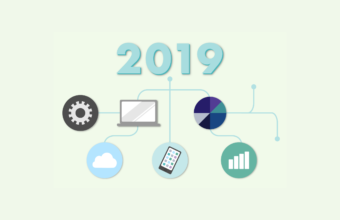 These tech experts support organizational growth by delivering robust internal applications, tools, bots, and real-time integrations to support lines-of-business teams. This means that, for organizations looking to build out the business systems function, competition is stiff when it comes to finding the right talent. To that end, many companies will offer prospective systems leaders competitive salaries, great benefits, and flexible work policies. But attracting skilled systems professionals starts long before the formal interviews begin. Here are a few things that great business systems job postings have in comon—and how they’ll help you find the right talent. 1) It’s clear whether the role is fundamental or adjunct. The first step to writing a job description that will attract systems talent is identifying where the role fits within the team as a whole. If the role is fundamental to the team—one of the first few systems professionals being hired for example, or a team lead—a good description might specifically target candidates who are experts in a particular system the company already uses. “Early on, I might look for someone with 3-5 years of Workday-specific experience or with certain integration platform experience,” says Bobby Mathew, a business systems team lead at Square. Likewise, the most compelling job descriptions make it clear whether the team is brand-new function looking to make a key hire or a maturing team seeking to address a burgeoning workload. 2) They’re tailored to a particular specialty, if applicable. Another important consideration is whether there’s a particular skills gap that needs to be filled. Often times, teams might want a systems professional who has expertise in a specific program or technology. The best job descriptions we’ve seen clearly spell out exactly what specialization, if any, the company is looking for—which helps ensure that only the most relevant candidates apply. For example, this job posting from Okta specifies that the company is looking for a business systems professional who has experience with financial apps and processes—because that’s the talent gap they’re looking to fill. This posting from Segment is also a great example of how to emphasize what’s really important while still highlighting other ideal traits. Not only does it call out the specific expertise required (Salesforce admin/development experience), but it puts the role into a broader context. 3) They don’t pigeonhole candidates. When looking to hire more of a systems generalist, however, it’s useful to take a different approach. Though business systems talent often comes from app-specific backgrounds, they might not want to be pigeonholed into only working with those systems. In fact, that’s often why they want to move into a broader business systems role to begin with. They emphasize leadership skills, creativity, and self-motivation—not just specific competencies. “I know most folks aren’t going to be with one company forever, so saying ‘I can help you grow your skill set to make yourself more marketable’ is a great way to attract talent,” he continues. 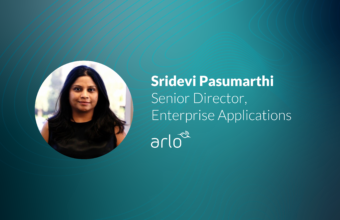 Sridevi Pasumarthi, senior director of enterprise applications at Arlo Technologies, echoes this sentiment. To her, room to grow is one of the only things that will make a systems job description stand out. 4) They emphasize soft skills. Because business systems talent can come from such a wide variety of backgrounds, it can feel difficult to suss out whether a candidate is really the right fit. To increase the chances of attracting the right talent, a good business systems job description will emphasize the role’s often-unstated function: liaising between IT and lines-of-business teams. Unlike some other tech jobs, business systems roles are often people-facing. Acting as a go-between requires some serious soft skills, like communication and the ability to build trust. These skills are especially important if the business systems team is relatively new within the organization. “[That’s the #1 thing I’d say to business systems people]: you need to build trust within your organization. 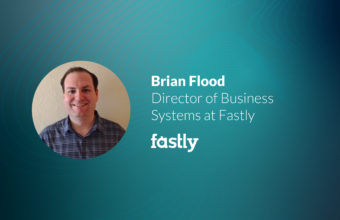 If they don’t trust you, it’s not going to work,” says Brian Flood, Director of Business Systems at Fastly—who built out the systems team in a little over a year. In his experience, systems hires need to work as operational conduits. “These conduits are focused on understanding a particular team’s needs and can translate for us so we can develop processes that bring everything together,” he explains. Creating a job description that emphasizes these skills is key to finding the right fit. This business systems analyst posting from ServiceNow is a great example. Much of the description focuses on how the position interacts with other stakeholders throughout the organization, making it clear that they want a candidate who is good at building relationships. The best job postings are crafted with soft skills in mind. They’re up-front about the people skills required, because it can determine the team’s success in finding the right hire. If there’s one thing that all good business systems teams have in common, it’s flexibility. Because systems is an evolving function within the enterprise, there’s no set-in-stone way to hire, and best practices are constantly changing. Business systems teams should keep an open mind about candidates from non-traditional backgrounds, and constantly revisit what they’re looking for in terms of talent—in a field as rapidly-changing as systems, adaptability is the definition of success.